Thank you for registering for the workshop. You will shortly receive a confirmation email from us - please keep an eye out for this email as it contains important information. This Massive Company Professional Development workshop is designed for teachers working with young people, and theatre practitioners with a particular interest in devising. The workshops are designed so you are both actively involved and observational, and offer a progression of whatever you may have experienced in previous workshops. As well as the workshop itself, you will receive ongoing support from Sam Scott, teacher notes and access to videos and education packs. 2019 workshops will be concentrating on 'provocations' to inspire drama with chosen themes. Sam Scott is the founder and Artistic Director of Massive Theatre Company. 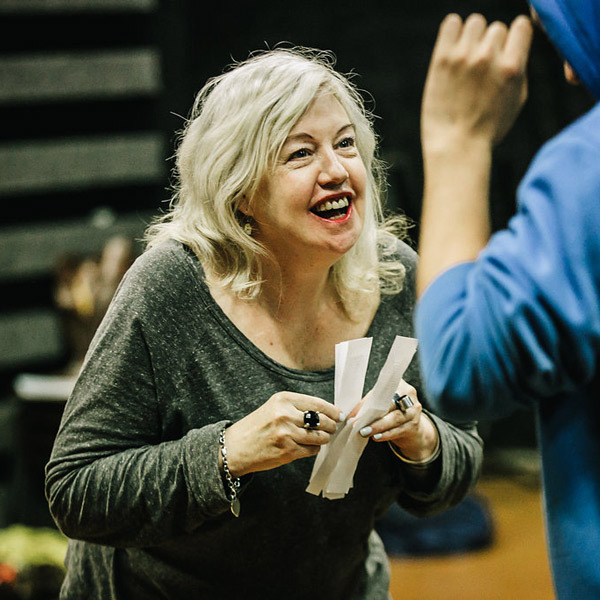 She has been directing and teaching in New Zealand and internationally for over 30 years, and was the founder of Theatresports in Schools in 1990. Sam has a passion for acting, devising, building community through telling stories, and helping young people to find a sense of self and confidence through theatre.